One Red Sideboard, Coming Up! This weekend I was finally able to get this monkey off my back! I'm done and so happy. It's actually a bit brighter than you see here, but I've had the hardest time trying to get a good photo where the color is accurately represented, so I tried to find the photo with the best detail. Remember I started here. I decided to paint this the old fashioned way, so I started by sanding the top and applying primer. In the beginning I wasn't exactly sure what color I wanted, so I made the mistake of not applying the primer thick enough and not using a tinted primer. Normally this isn't a problem because I use black paint, but I've never painted anything red before so I didn't know that it would be extremely critical with a piece this dark. In the end I was able to make it work, but I think it took much more time than it should have. I definitely know better now. 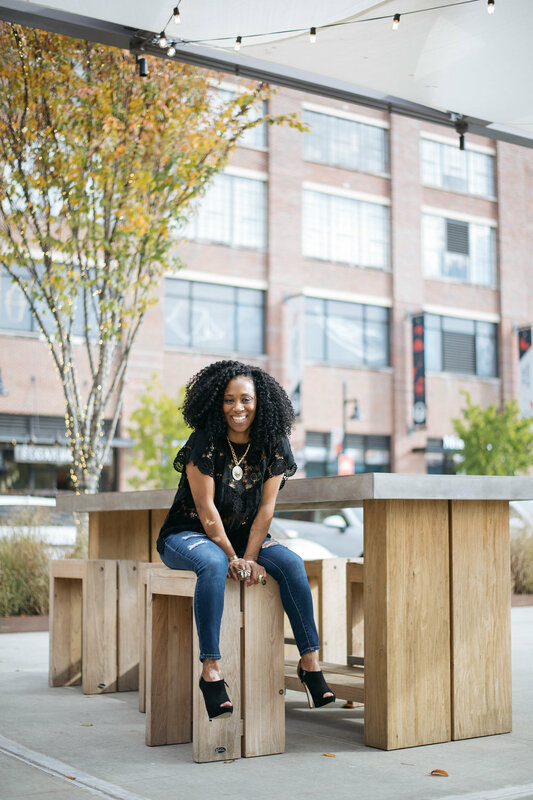 I also learned that since red has the least amount of pigment, it will generally take a few coats of paint to get the exact color you're looking for. Knowing these things in beginning, I would've been more thorough with the prep work. The primer job doesn't look that bad in the photo, but my application wasn't very even (I've never had to worry about it before), so all of the places that weren't primed (dark brown areas) ended up needing some TLC. Gross. It bubbled up and just looked awful. It was probably due to my impatience, since I didn't let the paint dry long enough, but I just wanted to be done!! After trying unsuccessfully to have another sheet cut, I found this wallpaper at Goodwill for $.50 and used spray adhesive to cover the back. The paper is definitely not my style, but it gives a bit of definition which is what I was looking for. I spray painted the hardware and that was it. Most of the time was spent trying to get the paint application even and preventing brush marks since I went with a high gloss. Overall, I'm happy with the job, and I found the exact shade of red I was looking for. I did find and spray some legs for the bottom, but I need longer screws to attach them to the base, so I'm going to live with it like this for a few days before I decide whether to attach them. I'm thinking maybe the combination of the color and the glossy paint made the photography difficult, so here are a few final parting shots. So . . . what do you think???? Btw, I'm adding this to Metamorphosis Monday at Between Naps on the Porch. 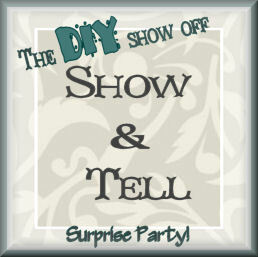 **Edited to note that this has also been added to the Show & Tell Surprise Party @ The DIY Show Off! Thanks, Roeshel!